Pike Center builds on a long-standing legacy of people who have pursued scholarship as a strategic way of participating in the mission of God to bless the nations. Eight decades ago, our founder, William Cameron Townsend, set research as a cornerstone in SIL's purpose. (For the full story, see A Threefold Purpose.) Later, under the leadership of the center's namesake, Kenneth L. Pike, this purpose came to fruition. Pike was the first to take up Townsend's challenge to complete doctoral studies, earning professional credentials as a scholar. Since that time, more than 400 members of SIL have followed this example. A growing gallery of SIL scholars is automatically maintained by the Google Scholar service. Each Google Scholar profile lists the scholar's publications in order from most influential to least, based on the number of times they have been cited in academic literature. René van den Berg is a Senior Linguistics Consultant for SIL International. He earned a PhD in Linguistics from Leiden University in 1989 and has done fieldwork in Indonesia and Papua New Guinea. His main research contributions have been in the areas of language description, lexicography, and historical-comparative linguistics of Austronesia. Paul is a Senior Sociolinguistics Consultant for SIL International. 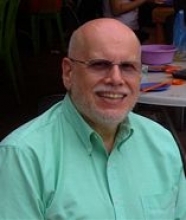 He earned a PhD in Sociolinguistics from Georgetown University in 1994 and has done fieldwork in Guatemala. His main research contributions have been in the areas of language planning, language maintenance and shift, and the sociology of language. 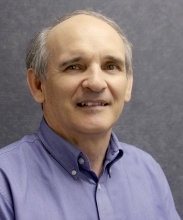 Gary is the Chief Research Officer for SIL International and the Executive Editor of the Ethnologue. He earned a PhD in Linguistics (with minors in Computer Science and Classics) from Cornell University in 1979 and has done fieldwork in the Solomon Islands and Papua New Guinea. 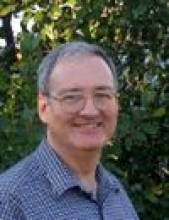 His main research contributions have been in the areas of linguistic computing and cyberinfrastructure for linguistics. 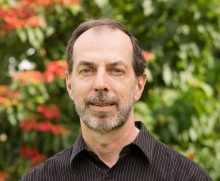 Keith is a Senior Linguistics Consultant for SIL International; he is also Affiliate Professor of Linguistics at Trinity Western University and Adjunct Associate Professor of Linguistics at the University of North Dakota. He earned a Doctor of Letters in African Linguistics from Leiden University in 1990 and has done fieldwork in Ghana and Cameroon. His main research contributions have been in the areas of tone analysis, phonology, and historical-comparative linguistics of Africa. Peter E. Unseth is the Associate Professor of Applied Anthropology at the Graduate Institute of Applied Linguistics. He earned a PhD in Linguistics from the University of Texas at Arlington in 2002 and has done fieldwork in Ethiopia. His main research contributions have been in the areas of sociolinguistics, scripts, and Ethiopian languages. Pike Scholars are emerging scholars who are participating in the Scholar Development program [INSERT LINK] of the center. Requirements for becoming a Pike Scholar include having a doctoral degree or being in the process of earning one. David Eberhard earned a PhD in linguistics from Vrije Universiteit (Amsterdam) in 2009. The title of his dissertation was Mamainde grammar: a Northern Nambikwara language and its cultural context. At present his major roles are Sociolinguistics Coordinator for LEAD Asia, and faculty member at Payap University, Thailand. Dave’s research interests center on gaining a deeper understanding of how minority communities facing language shift use their language repertoires in unexpected ways, and on how such an understanding can guide efforts of language development within such communities. Tim Hatcher is in the final stages of a PhD program in Intercultural Studies at Assemblies of God Theological Seminary (Missouri). 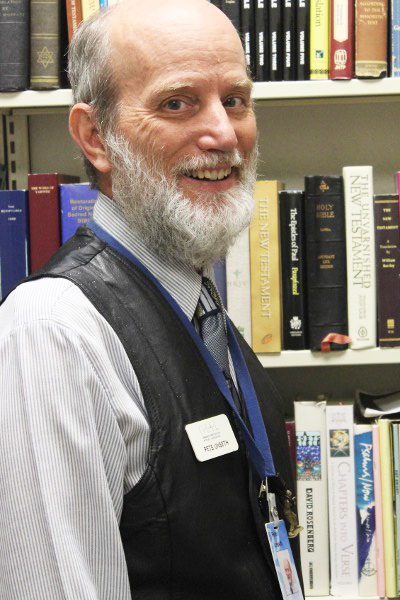 His dissertation involves in-depth case studies of three Bible translation programs in different parts of the world to assess how well our current theories of Scripture engagement account for the observed results. Tim is an assistant instructor at the Graduate Institute of Applied Linguistics and a Scripture Engagement Specialist for SIL International. His ongoing research interests involve developing insights that will empower national Bible translation organizations to incorporate strategic Scripture engagement thinking into their planning and activities. Tim Kempton earned a PhD in computational linguistics from the University of Sheffield (UK) in 2012. The title of his dissertation was Machine-assisted Phonemic Analysis. He now works with the Nigeria Group, training to be a linguistics consultant and is currently living and working with the Nikyob language community. Tim’s current research interests include using speech recognition technology to help communities develop their writing systems, such as through automatic analysis of data recorded using a participatory approach. Angela Kluge earned a PhD in linguistics from Leiden University in 2014. Her dissertation, A grammar of Papuan Malay, was published in the LOT series. She is currently based in Kota Kinabalu, where she works with SIL Malaysia and LEAD Asia as a language assessment consultant. Her current research interests are focusing on the discourse of Papuan Malay as a contribution to the ongoing language development and Bible translation efforts in the language. Oliver Stegen earned a PhD in Applied Linguistics from the University of Edinburgh in 2011. His doctoral research investigated the textual products of writers workshops in the Rangi language (Tanzania) to gain insight into how written style develops in a newly written language. He serves as a linguistics consultant for SIL UTB and as Linguistics Domain Team Leader for Anglo-Lusophone Africa. His current research interests include descriptive linguistic issues relevant to orthography and literature development in East African Bantu languages, and the development of Swahili as an academic language. Cathryn Yang earned her PhD in linguistics from La Trobe University (Melbourne, Australia) in 2010. Her dissertation explored the synchronic and diachronic relationships between Lalo languages, a cluster of Tibeto-Burman languages in southwest China. Cathryn now serves as the Associate Director for Academic Affairs for SIL’s East Asia Group. One of her ongoing research interests is to determine the genealogical relationships within a newly identified subgroup of languages in northwest Yunnan, a finding with implications for how these marginalized communities can share resources for language development.